Hey, now! 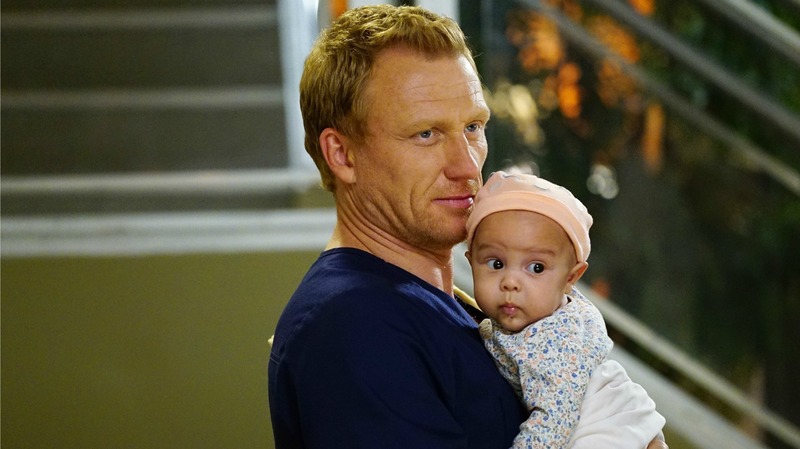 Did Owen and Amelia just make a baby on Grey’s Anatomy? Confession: I have never been much of an Omelia fan. Call me old-fashioned, but Amelia never grew on me… largely because I was (not-so-)secretly holding out hope Cristina would come back to Owen some day. But this week’s episode of Grey’s Anatomy may have finally converted me. I’m now an Omelia believer. The episode doesn’t start off strong for the newlyweds. They are having trouble communicating, with Amelia talking Owen’s ear off and doubting their union. For his part, Owen can’t figure out a way to impress upon his new wife how solid their relationship is — or that he really is ready to start a family, the very thought of which leads Amelia to ask, “How can we have children? I barely know you?” Yikes. Like I said, not a strong start to the episode or, you know, their marriage. As the episode progresses, though, each sort of works through their own stuff at their own pace through conversations with friends. At the end of the night, as they are getting ready for bed, it’s clear they are both preoccupied. Then, Hunt says something that makes me swoon: “You know you can tell me anything, right?” And at that point, Amelia gives herself permission to open up to him. She tells him about her ex-boyfriend who overdosed, and in turn, he tells her about the time his PTSD drove him to nearly strangle Cristina. OK, so it doesn’t sound super-romantic when you say it out loud like that, but it was sweet, OK?! Of course, Amelia lost a baby before in an almost unimaginable way, so she needs reassurance. She asks him if they are OK and their kids will be OK, and he says they will be wonderful. She believes him, and they embrace. As they do, one perfect tear falls down Owen’s face. No, I’m not crying… you are. But, really, it was a truly touching moment between these characters who have lived through so much and lost so much. Finally, Owen is getting his family! In fact, if the teaser clip for next week is any indication, he might be getting it in the very near future. All of this is great news. Omelia made a baby, and all is right in the universe. Or is it? 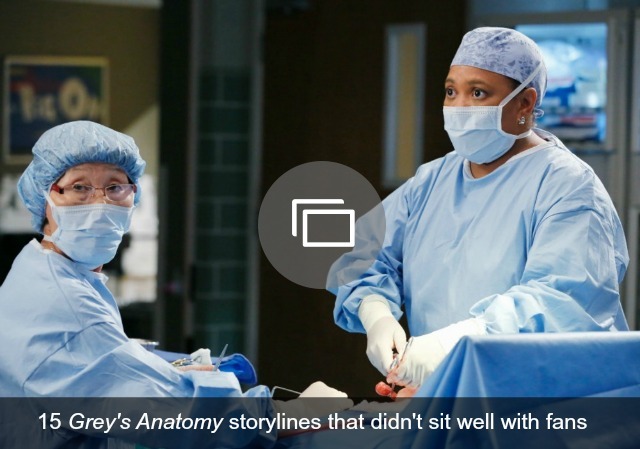 We live in Shonda Rhimes’ world, y’all — nothing is ever that simple. Let’s take a look at the pregnancy track record on Grey’s. There was Callie, who got into a horrific car accident while pregnant and had to give birth dangerously early. There was Bailey, who gave birth while her husband was simultaneously having emergency life-or-death surgery. Then there was Meredith, of course, who suffered a miscarriage. Then during her second pregnancy, she almost died while giving birth during a major power outage. Lastly, she found out she was pregnant with her third child shortly after her husband died (R.I.P., Derek). Hmm, who else? Oh, yes, there was also April, who gave birth to a child who could not survive. Which brings us back to Amelia, whose child with her late ex turned out to be anencephalic. Watching him die in her arms obviously affected her deeply and led to her relapsing in her recovery. So while I’d love to believe Rhimes wouldn’t put Amelia through that again — not to mention Owen or, hello, us fans — I have a bad feeling all of this happy baby talk is setting us up for some serious heartbreak. What do you think? Is Omelia headed for baby bliss?